Are you a big tipper? Dae-Young Kim, associate professor of hospitality management at the University of Missouri, explores whether what a customer wears correlates to the amount they leave. 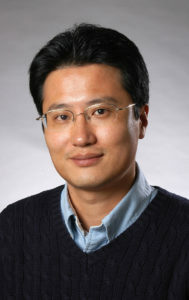 Dr. Dae-Young Kim joined the Hospitality Management (HM) faculty at the University of Missouri August 2006 after he received his Ph. D, (2006) and M. S. deewrergree (2002) in the Department of Hospitality and Tourism Management at Purdue University. He was the recipient of Rotarian Ambassadorial Scholarship Year 2000. He was also a Best Paper Award winner in the annual International CHRIE conference in 2005, and the 11st TOSOK International Tourism Conference. He has published moer than 100 peer-reviewed journal articles and concference proceedings. His papers have been published in top-tier refereed hospitality and tourism journals such as Annals of Tourism Research, Journal of Travel Research, Tourism Management, Cornell Hospitality Quarterly, Journal of Hospitality & Tourism Research, Journal of Travel & Tourism Marketing, International Journal of Hospitality Management, Tourism Analysis, and Computers in Human Behavior. He serves on the Editorial Board Member of Journal of Travel & Tourism Marketing, Journal of Hospitality Marekting & Management, Journal of Convention & Event Tourism, and Asian Pacific Journal of Tourism Research. He is a membership secretary of Asia Pacific Tourism Association (APTA) since 2014. With tipping a server a central part of the American restaurant industry, better service often is attributed to whether or not a server believes a customer will be a good tipper. We decided to study how restaurant waiters or waitresses determine which customers will leave good tips before they begin serving them. We surveyed more than 200 current and former restaurant servers and showed them pictures of people of different races, genders and attire. We asked the participants to indicate who they believed would leave good tips and poor tips. We found that servers often use gender and socioeconomic stereotypes to determine which customers will leave better tips. Most significantly, we found that the staff believe well-dressed customers are the most likely to leave good tips. This could result in those well-dressed diners receiving better service. Interestingly, we found that the race of customers did not significantly affect servers’ perceptions of their likelihood of tipping well. Regardless of race, well-dressed men were identified as more likely to leave good tips compared to women, while casually dressed men were seen as the least likely of any group to leave good tips. Everyone uses first impressions to make snap judgements. For servers, especially busy servers, they often have to make decisions about how to best devote their time and energy, so they look for ways to identify which customers will reward them the most for their service. These findings show restaurant managers the importance of proper training for waitstaff so all customers receive good service. While the tipping culture can motivate servers to provide quality customer service to some customers, it may result in unequal attention for others.